In Virginia Beach, it can be a tall order to pull yourself away from the sand and surf during the summer months, but a night (or day) on the town might be exactly what your vacation needs. Just a quick drive from the boardwalk, you can get your fill of food and fashion at Virginia Beach Town Center and Pembroke Mall, and be back in the sand before the sun even sets. But we think you should take your time and explore everything that the urban heart of our coastal city has to offer. In fact, with the beautiful Westin Hotel and Hilton Garden Inn, both located in the center of town, you can even stay in the city for your beach vacation and enjoy the best of both worlds. 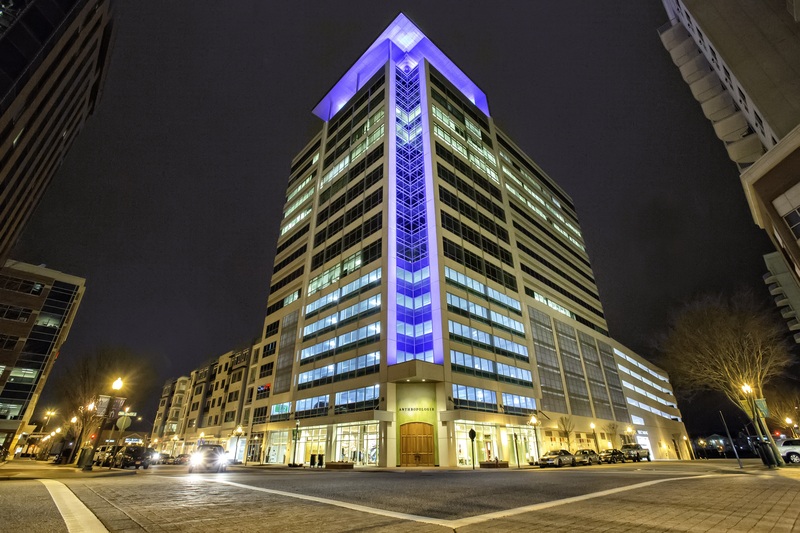 However you decide to do it, Town Center is a must-visit for all who come to Virginia Beach. Start your day off with a cup of delicious coffee from the Daily Grind for the perfect fuel for an action packed day. As the sun begins to set, get dressed up and enjoy a glass, or three, of Merlot at Sonoma Wine Bar, or a classic martini at Twist with that special someone, followed by a laugh at the Funny Bone Comedy Club. When you’re feeling creative, unleash your inner artist at Muse Paint Bar, where the wine and paint flow in equal measure. When you need to cure that insatiable sweet tooth, grab an award-winning cupcake from Just Cupcakes or indulge in the decadent house-made cocoa nirvana of The Royal Chocolate. 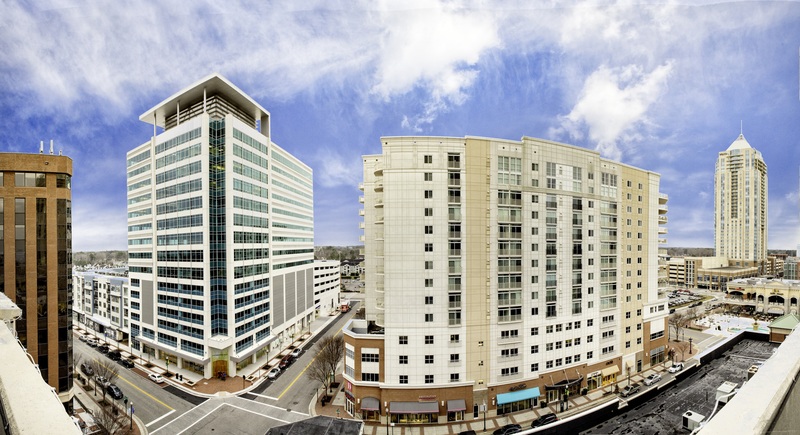 When you have shopping on the brain, our downtown district will not disappoint. Spend a leisurely afternoon shop-hopping through Anthropologie, Paper Source, lululemon athletica, and Free People, among many others, or head across the Boulevard to the recently-revamped Pembroke Mall. The first mall in Hampton Roads, Pembroke has become a shopper’s paradise with editions of Nordstrom Rack, DSW, REI and much more. It’s vacation, which means whatever you buy can come out of your souvenir budget, right? 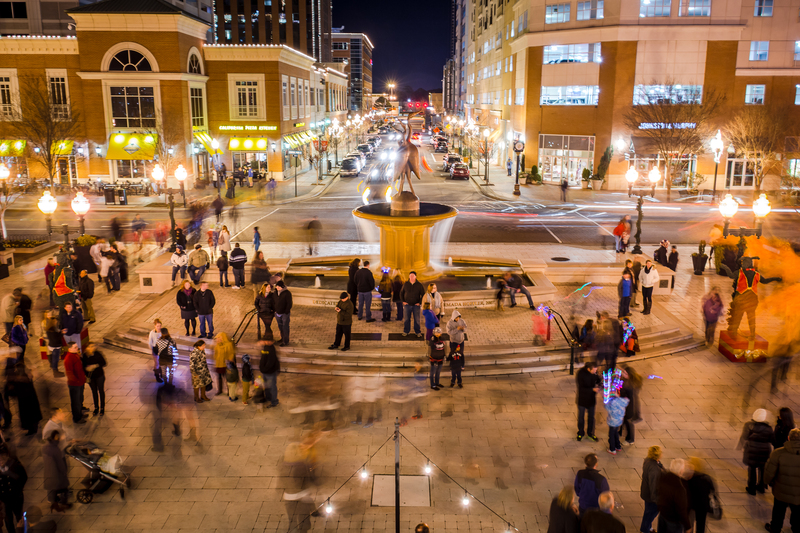 For lovers of the performing arts, Town Center is also a hub for live shows featuring everything from local artists and regional symphonies to legends of the stage. Every Wednesday evening in the summer, don’t miss the dancing and dishes at YNot Wednesdays? concert series in the Sandler Center Plaza, with musical acts of all genres and generations. 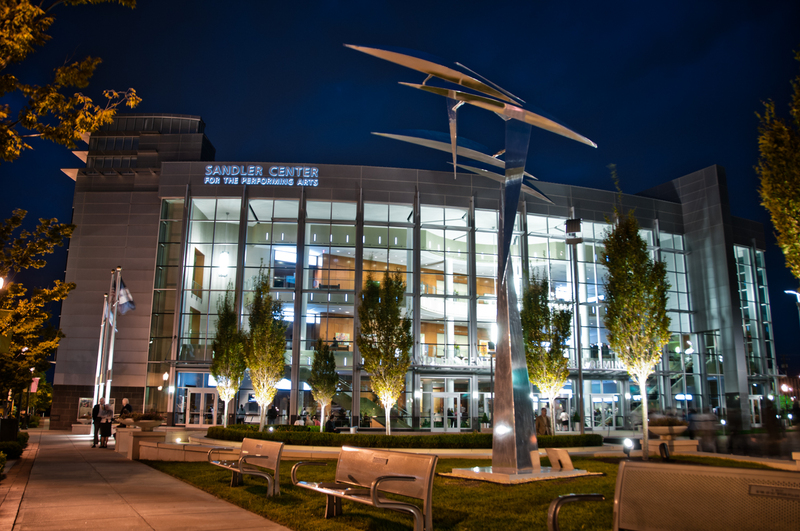 Speaking of Sandler Center for the Performing Arts, the 1,200 seat hall is a masterpiece of acoustical engineering that opened in 2007, and now brings acts from all over the world, including national recording artists, world-renowned symphonies and orchestras, and theatrical masterpieces. For a cozier experience that can only be found in Virginia Beach, Zeiders American Dream Theater is a professional nonprofit theater that gives local writers, performers, and artists the perfect platform to inspire artistic expression of all varieties and has become an integral part of the local arts community. Perhaps the best part about a beach town with a downtown is never having to choose. With Town Center just a short drive from the Oceanfront Resort District, having the best of both worlds doesn’t get any easier than this.